As your child starts a new grade and new phase of life at school, it’s normal to be curious about what the school curriculum entails and what skills your child should be mastering at this age. Your little kindergartener might seem so small but their brains are developing at a rapid pace. You might be surprised at some of the things that they are ready to learn! Literacy is a big focus in kindergarten. By the end of kindergarten, children will be able to recognize, name and write the 26 letters of the alphabet, in uppercase and lowercase. Kindergarteners will learn that letters and sounds go together to form words. They will listen to their teacher read books during storytime and the kids will be able to read about 30 high-frequency or ‘sight’ words, like and, in and the. Kindergarten kids will be taught to write CVC words (consonant-vowel-consonant) such as dog and hat. They will also learn to write short and simple sentences like, “The dog ran home.” They will have the opportunity to write a poem or write in a journal, which might end up being a jumble of letters and words, but it’s a great start to expressing themselves. They will also work on spelling their first and last name. It’s all about the basics! Children will learn to recognize, write, order and count numbers up to 100. They will begin to learn addition and subtraction of small numbers like 1+1=2. “One hundred day” is a common kindergarten activity when children bring one hundred items such as buttons or marshmallows and they do an art project where they practice counting. Children will practice naming and describing common shapes like circles and triangles and will be able to identify and sort objects by color, size and shape. Kindergarteners will begin to explore time and the calendar. They will be able to understand that school starts at 8:00 in the morning and that they eat dinner at 6:00 in the evening. Time is a very abstract concept that children will not fully understand at this age but they will learn the fundamentals that they can take to first grade. Children begin to learn about plants, animals, the weather and the five senses. They might also explore related topics such as good hygiene or the body. In kindergarten, children learn to speak about themselves and their family and recite their personal information such as their phone number and address. They begin to think about how they fit into their school and their community and will have the opportunity to learn about other cultures. School is the perfect environment for kids to work on social and emotional development. Through social interaction and working together, they are able to practice their social skills. They will learn about sharing and how to resolve disagreements and they will also learn to understand their feelings and the feelings of others. Children will develop many skills such as cutting along a line with scissors, establishing left- or right-hand dominance, holding a crayon and pencil correctly, and letting their creativity shine. 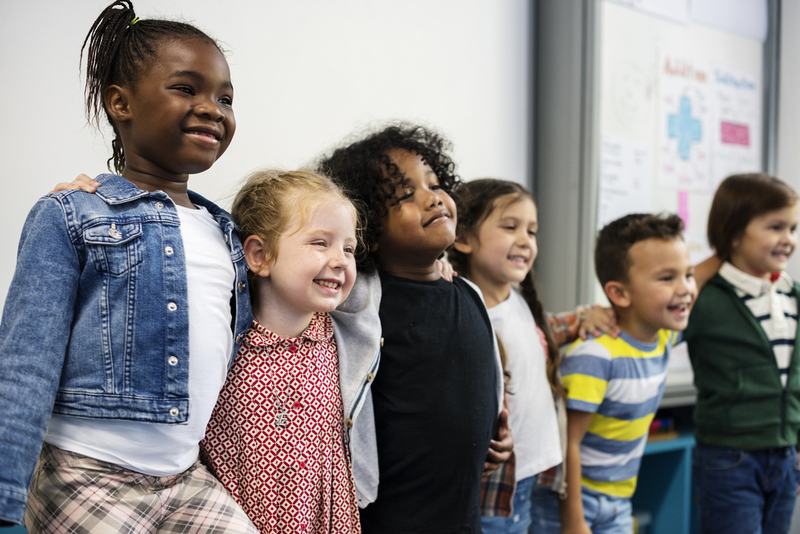 Children enter kindergarten with a variety of experiences and skills and as a parent, you may wonder if your child is ready for kindergarten. It helps to have a rough idea of what skills your child will be mastering at school so that you know how to help them practice at home.